New research conducted at the NRS's Motte Rimrock Reserve shows that evolution – genetic changes in populations over time – can occur so rapidly in organisms that its impact on population numbers and other aspects of biology can be seen within just a few generations. The research, published online Aug. 9 in Ecology Letters, the highest ranked journal in the field of ecology, can improve scientists’ ability to predict the growth and spread of endangered species, invasive species, and disease epidemics. 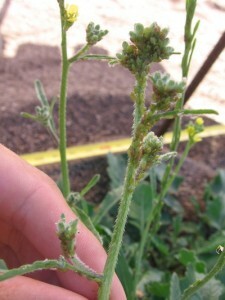 Working on aphids, considered the world’s most important crop pest, the researchers experimentally tested the impact of rapid evolution on wild populations within a single crop-growing season. 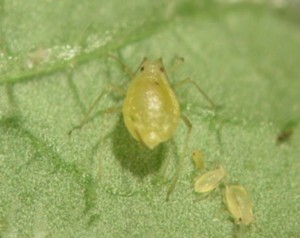 To accomplish this, the researchers set up an experiment that prevented evolution by natural selection from occurring in some aphids while allowing it in others. They then compared the rate at which the non-evolving and evolving populations grew.